They can stress less, manage expectations better and experience more success. You might think that your teen has a lot of control over their decisions, but the truth is teens and adults alike make most of their daily decisions out of habit. They have automatic responses that get programmed into their subconscious, and unless your teen makes a concentrated effort to change their default habits they will likely remain the same. Does your teen pop out of bed when they wake up? Or do they hit that snooze button over and over again? Do they pack their backpack at night? Or do they leave their books and homework scattered about? Do they make time to eat a healthy breakfast? Or do they grab something prepackaged on their way out the door? I bet you can figure out which of these habits will help your teen lower their stress. 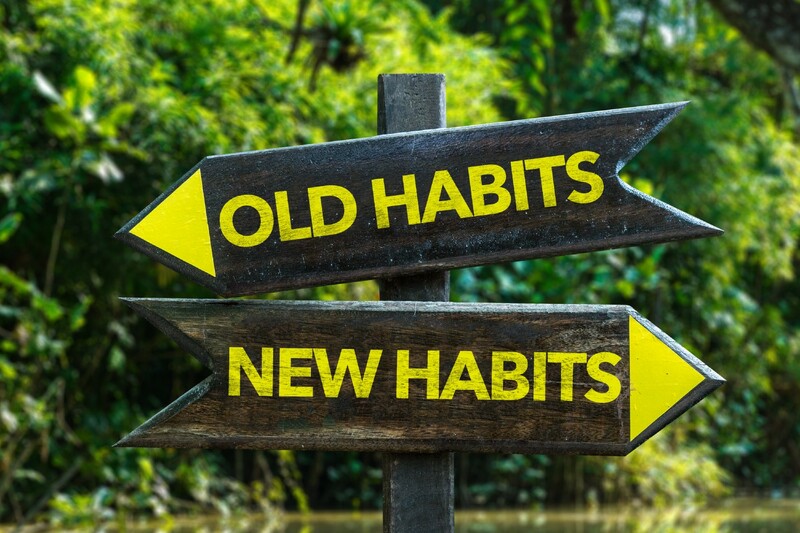 However, if your teen doesn’t see the value in creating the new habit for themselves, then they won’t make an effort to incorporate it into their day. You might be thinking that these decisions won’t have that big of an impact on your teen’s stress. Let’s take a closer look. Let’s say a teenager is in the habit of hitting the snooze button in the morning. When their alarm goes off, their body starts releasing hormones like dopamine to help them wake up, but if the teen hits the snooze button, they begin to fall back to sleep. Snoozing does not allow a teen to complete a sleep cycle, so even though they stayed in bed longer, the fragmented sleep cycle that occurs during a snooze, makes them end up feeling more tired. If the teen has hit that snooze button one too many times, then they wake up late and start their morning already behind and needing to rush. Since they didn’t pack their bag the night before, that is one more task to add to their morning to do list. Maybe they don’t have time to print something. Maybe they leave a book at home. Now the teen is heading to school unprepared. Since they are late, they rush out the door grabbing a prepackaged breakfast bar that spikes their blood sugar which is an additional stress on their body and leaves them feeling tired and hungry by midmorning. This teen’s day has barely begun, and the stress response has already been slightly activated because of all their unhealthy morning default habits. When something else stressful arises, they enter the Chronic Stress Loop and must rely on their default habit, such as eating, biting their nails, belittling themselves, or gossiping to soothe their stress. Unless the teen has a healthy habit to reduce stress and calm the panic, they will eventually begin to see unwanted manifestations like headaches, panic attacks or extra weight. Let’s take a look at a teen who has created healthy morning default habits. Let’s say your teenager decided that they would have boiled eggs and fruit for breakfast. This is a great breakfast that will keep their blood sugar stable and keep them energized until lunch. On Sunday, they or you if your house is anything like mine, boil 7 eggs and wash a bag of apples. When they wake up, making a healthy choice is also the easiest choice. Then every night when they are done with their homework, they take the time to print everything and to pack their backpack. Pretty simple habit, but I am always shocked how many teens don’t do this. Lastly, because they have everything organized and they have committed to not hitting the snooze button, they can set their alarm a bit later giving them more sleep. Most teens like to stay up late, so being able to sleep in as late as possible is always welcome. While creating healthy habits like these are important to helping your teen stay out of the Chronic Stress Loop, every teen experiences stress from time to time, and it’s important to teach them strategies to deal with it in a healthy way. This is exactly why I created my Stress Less Guide. The guide will help you identify what triggers your teen’s stress, what habit they utilize to decrease stress and my top 5 healthier default habits to manage stress better when it does arise. Grab your copy here, and start helping your teen create healthier habits that will help them meet expectations better and experience more success today. Originally published at www.claireketchum.com on April 1, 2017.